There is an easy way to turn off comments in WordPress posts or pages without a plugin and this is what we will explain in this WordPress tutorial. 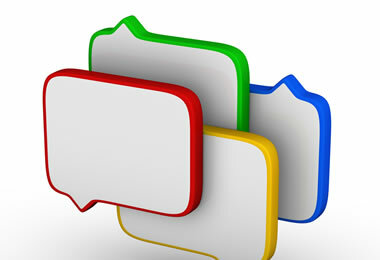 Why you may want to disable comments in WordPress posts or pages? Although comments are welcomed for a lot of reasons, sometimes you may need to turn them off to either avoid spam or to restrict users from posting comments on old posts or outdated topics. WordPress gives you a number of options to control comments and below we will see how to disable comments on new posts, how to turn off comments on old posts and how to allow comments only for a specified period of time and then close them automatically. Login to WordPress administration console as usual. This will turn off comments for new WordPress posts or pages. While the above works great for new posts, how can you turn off comments for existing posts or pages? There are 2 ways to do that either on an individual level (i.e. on a specific post or page) or in bulk. Note: If the Discussion settings is not visible on the page then scroll to the top of the page and click the Screen options button and check the Discussion button. This will bring the discussion settings in the page or post. If you want to do the above for more than one posts/pages then instead of editing each post individually you can do it in bulk. Select All Posts from the Posts menu. Uncheck the Allow Comments check box (located in the right below the tags text box) and click the Update button. There is also another option you can use to ‘instruct’ WordPress to automatically close comments on posts older than an X number of days. Under Other comment settings check the option “Automatically close comments on articles older than 14 days”. You can also check the number 14 to match the number of days you want.